Public Amenities & Wheelchair Access Public toilets are situated at the Beacon Town Hall/Community Centre. These amenities are open all hours. Public amenities are also situated across from the General Store. Beacon Country Club is open to members & guests. Come along and enjoy a refreshing drink and meet the locals. Meals available most Thursdays and Saturday nights. 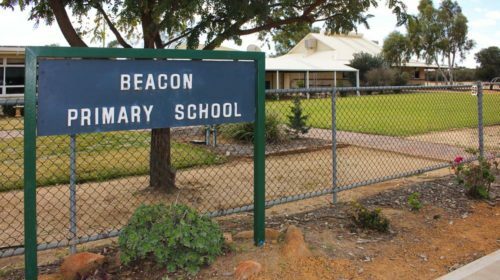 Beacon Primary School is located on Broadbent Street and comprises of a main building with 3 classrooms, a Library/Multipurpose building, an Information Centre, playground areas, a Botanical Garden, sheds and a dirt oval. The uniform colours are royal blue and yellow with “Truth Is Light” as the emblem and motto for the school. Bank@ Post provides deposit and withdrawal transaction services on behalf of more than 70 banks and financial institutions. These services can be accessed with a designated account from a participating financial institution, a plastic transaction card and a PIN. The Beacon Library is situated at Beacon Central, Rowlands Street, Beacon. The library service is provided by the Mt Marshall Shire with the book exchange service managed on a daily basis by the Beacon Central Community Resource Centre and a librarian in attendance on Tuesdays. Specialising in hand finished paving, pier caps, cladding, blocks and other aspects of limestone work. Truck and float, contract grading, landscaping, reticulation, landscaping supplies, limestone products, demolition, concreting, fencing. Tyres and repairs, Tubes, Rims & Regrooving. 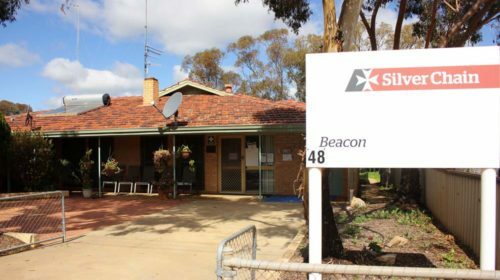 The Beacon Mens Shed is situated at the entrance to the Beacon Sporting Complex, adjacent to the Sandalwood Dray Shed and War Memorial. Location: Playgroup rooms at the rear of the Beacon Hall. Entry is off Hamilton Street. 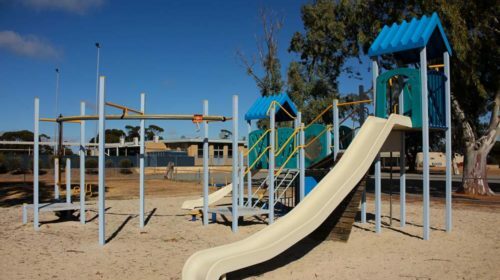 Facilities: Playgroup facilities include two activity rooms, an outdoor playground and sandpit, undercover courtyard and access to the community kitchen, toilets and baby change room. Public use of the facilities outside of Playgroup hours can be negotiated with the executive committee. Hours of operation: 9:30 –11am Tuesdays. excluding school & public holidays. Meetings: Meetings are held as the need arises to discuss fundraising ideas, and operational suggestions. The AGM is held every December. Beacon boasts exceptional recreation facilities which include: a sporting complex catering for cricket, tennis, hockey, football, netball, basketball, squash, skate park, gymnasium; bowling green; gun club/rifle range; BBQ areas; & children’s playgrounds. For more information check other Beacon sporting links. The two Retirement Villas are spacious, modern facilities perfect for either a couple or single person. Located in the centre of Beacon, they are within walking distance of all local services. Unfortunately, there are no current vacancies in the units. To register an Expression of Interest and have your name placed on a waiting list please contact the Shire on 9685 1202. The Shire of Mt Marshall is a Member of Central East Aged Care Alliance Inc. 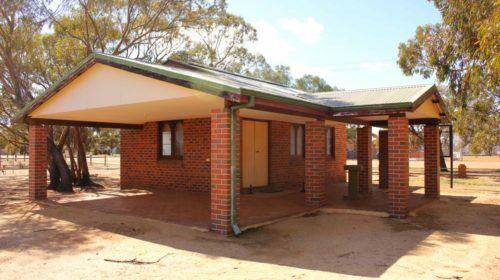 This organisation has commenced an exciting project constructing 72 two-bedroom, aged-friendly units across CEACA’s 11 Member Councils, including the Shire of Mt Marshall. The construction phase of the project has commenced and units will be available in Beacon in 2018. 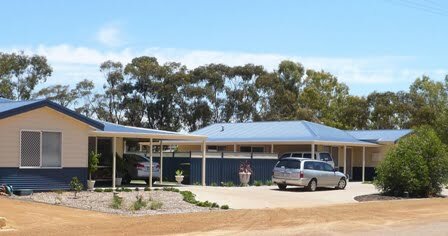 Expressions of interest for tenancy should be placed with the Shire of Mt Marshall. 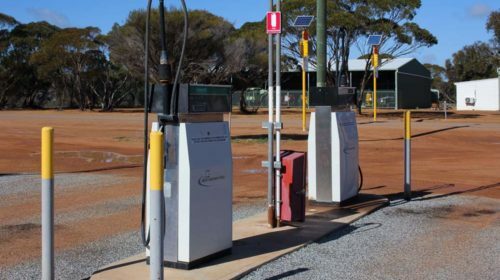 Unsuccessful expressions of interest for Shire or CEACA units will be placed on a waiting list. 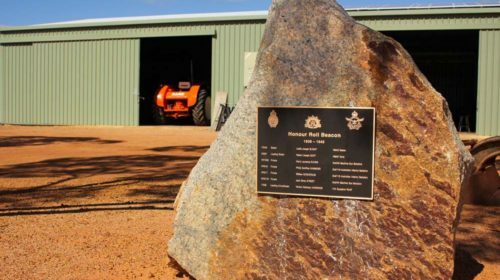 The Sandalwood Dray Shed is a memorial in recognition of the development of the Shire of Mt Marshall by the sandalwood cutters. Sandalwood cutters came in the 1880’s after a boom in sandalwood prices. The area was opened to pastoral leases as far north as Datjoin in 1872. Sandalwood cutters were very active in the district around Beacon from 1880’s and they extended further north in the 1920’s when the industry was thriving. 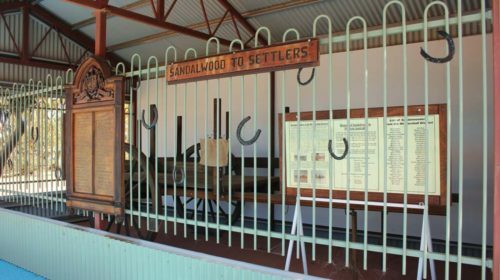 The sandalwood cutters used the water points recorded by the early explorers and in later days the sandalwooders tracks were used by early settlers linking them to many areas. 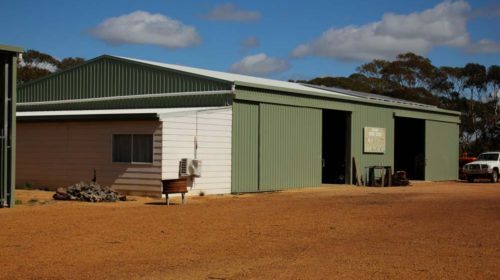 The Dray Shed was built by Beacon Men’s Shed volunteers and the materials for the shed were funded by the Shire of Mt Marshall. 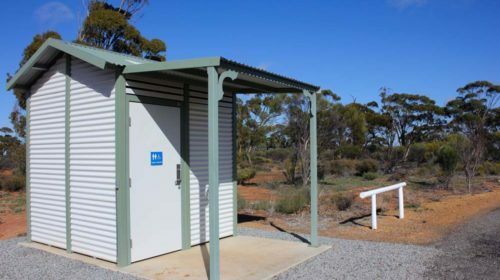 The Shire Mt Marshall has adopted the slogan “The Sandalwood Shire” and has erected a shed in Beacon and Bencubbin as a tribute. 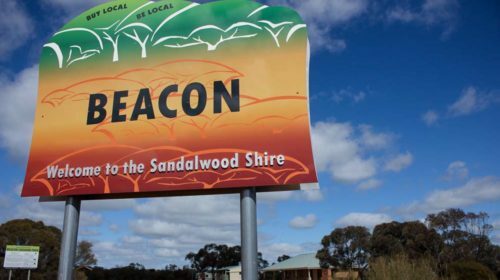 The Beacon Men’s Shed and the Beacon Sandalwood Dray Shed are under the management of the Beacon Progress Association. The Pool is currently CLOSED. Beacon Town Hall/Community Centre is managed by the Beacon Progress Association and the Shire of Mt Marshall. Please call Beacon Central CRC if you would like to hire any of these venues. Beacon Central houses the Beacon Central Community Resource Centre, Visitor Centre, Bendigo Bank Agency, Beacon Bulletin Newspaper, Library, Landcare Office, Herbarium and a meeting/conference room. 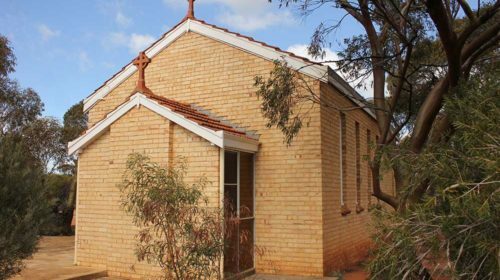 Ring Beacon Central Community Resource Centre for enquiries, tourist information or bookings on (08) 9686 1014. The War Memorial is located on Lucas Street adjacant to the Beacon Men’s Shed and Sandalwood Dray Shed. The War Memorial Plaque and flag pole were erected in 2011. 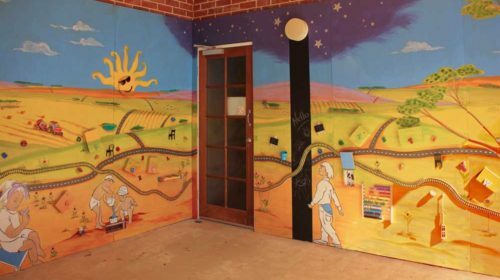 The Hall Community Centre is managed by the Beacon Progress Association and the Shire of Mt Marshall. Beacon Primary School is located on Broadbent Street. “Truth Is Light” is the emblem and motto for the school. Public amenities are situated opposite the General Store. Opening hours: Monday 5pm-9pm; Tuesday-Friday 5pm-11pm; Saturday 12pm-2pm & 5pm-12pm; Sunday 11:30am-1:30pm & 5pm-9pm. The War Memorial is located on Lucas Street adjacant to the Beacon Men's Shed and Sandalwood Dray Shed. Playgroup 9:30 –11am Tuesdays. excluding school & public holidays. Located in the centre of Beacon means that all the local services are within walking distance. Situated on Lucas Street, a short walk to town facilities.